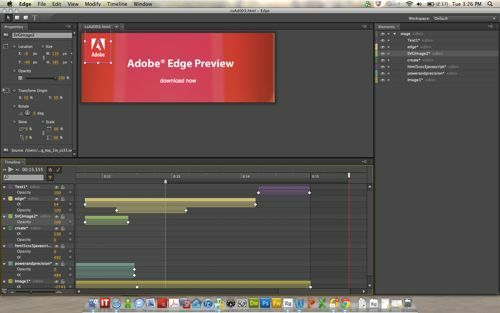 Adobe on Monday rolled out the first public preview of Adobe Edge, the company's HTML5 design tool that makes the creation of HTML5 graphics and animations feel like editing a movie. In the Spring of 2010, the "Flash vs. HTML5" debate went into full battle mode when Apple CEO Steve Jobs published a letter called "Thoughts on Flash," where he said Adobe's Flash platform was a relic of the PC era, and that in the Post-PC era, different tools and standards needed to be used. "New open standards created in the mobile era, such as HTML 5, will win on mobile devices (and PCs too). Perhaps Adobe should focus more on creating great HTML 5 tools for the future, and less on criticizing Apple for leaving the past behind," Jobs said. The media, naturally, turned it into a war where companies had to choose whether to maintain Flash support or choose HTML5 instead in the name of future growth. But that war was over before it even began. Adobe immediately began a PR campaign to say that it loved Apple, and Flash wasn't all bad, and that the company was, in its own way, "pro-choice." The truth of the matter is, however, that the company had already incorporated HTML5 into its plans. 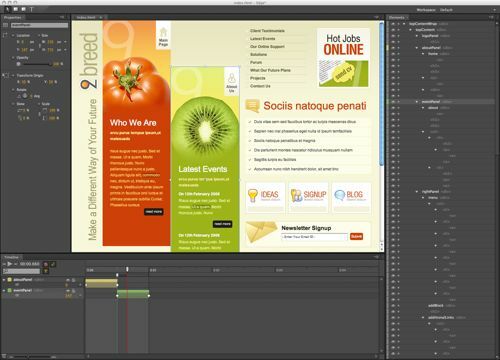 It wasn't even a month before Adobe began rolling out HTML5 packs for Creative Suite 5. By the time a year had passed, Adobe had released a full Flash-to-HTML5 conversion tool called Wallaby. Then, at Adobe MAX 2010, there was Adobe Edge, the company's pure HTML5 tool that could ultimately do the most damage to the life of Flash on the Web. 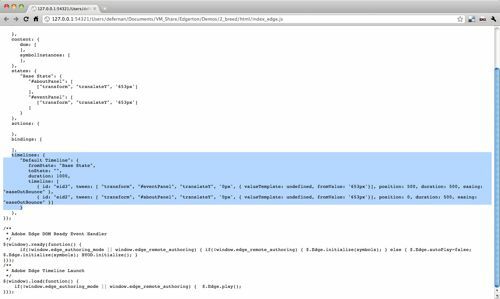 Users can import their site, manipulate their graphics (SVG, JPG, PNG or GIF) and apply any of 27 different transformations, and insert the new animations directly into the existent code. It's limited to creating animations right now, but Adobe will be rolling out more features incrementally for a full 1.0 release in 2012. New features to be added to Edge in the coming months will be shapes, expressivity, coding, interactivity, and graphics. It's still early days for the software, but it looks extremely cool, and will give web designers a simple tool to create animated graphics and transitions that does not require Flash. "I have been tracking Adobe's strategy over the last few years and have been amazed at how quickly they have pivoted to support HTML5," said Al Hilwa, Program Director Applications Development Software, IDC. "We saw some of Adobe's work on HTML5 last year at Max but Edge is the biggest thing they have done so far for HTML5." At this point, Adobe Edge is still a pre-alpha, but it can now be downloaded by anyone for free in FileForum.